Billionaire Steve Wynn is suing his former casino company and the Massachusetts Gaming Commission, alleging that Wynn Resorts has improperly handed over privileged documents to the commission for its investigation into sexual misconduct claims against him. The suit seeks to prevent the commission from releasing any investigative report if it contains privileged materials. 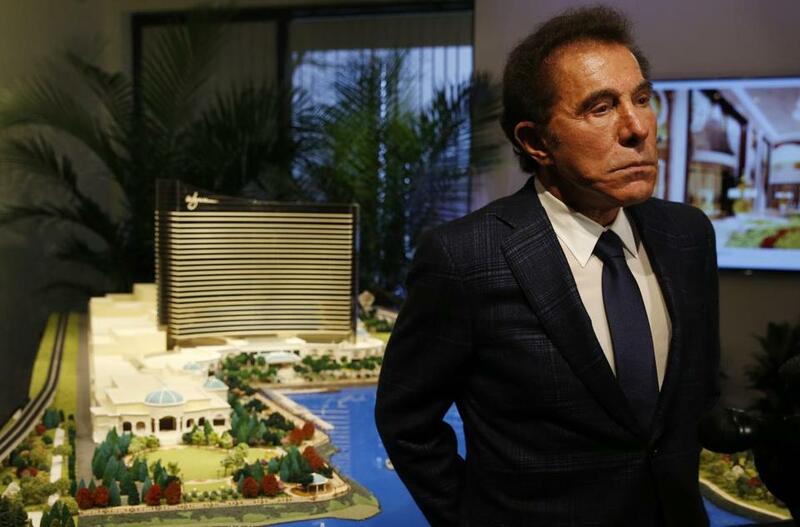 The gaming commission launched its investigation into Wynn Resorts after a Wall Street Journal report in January that contained allegations of sexual misconduct against Steve Wynn, the founder of Wynn Resorts and its then-chief executive. Massachusetts investigators want to know who in the company knew about the allegations and what, if anything, they did about them. Wynn resigned from the company in early February, then sold his stock in Wynn Resorts and moved out of the villa he had occupied at the Wynn Las Vegas resort on the Vegas strip. Wynn has denied assaulting any women. Work on the company’s Everett casino, Encore Boston Harbor, has continued through the investigation. The $2.6 billion gambling resort along the Mystic River is scheduled to open in about eight months. It is unclear if the lawsuit will affect the timetable for the commission’s investigation, Driscoll said. The commission is expected to hold a hearing on its findings in December. In September, longtime commission chairman Stephen P. Crosby resigned, saying he had recently been accused twice of “prejudging the outcome” of the investigation. “I simply cannot let my involvement in these critical deliberations be used by others to hamper the commission’s ability to do its work, or to undermine the confidence of the public in that work,” Crosby wrote in a resignation letter. Lawsuits have been commonplace throughout the long effort to build a casino in greater Boston. A sampling: Boston Mayor Martin J. Walsh and the cities of Somerville and Revere have each sued the gaming commission. Caesars Entertainment, a onetime bidder for a casino license, sued the commission’s former chairman. Mohegan Sun, a losing bidder for the license, sued the commission. And the former owners of the Suffolk Downs racetrack, a partner in a losing bid, have sued Wynn Resorts. That lawsuit remains unresolved.